Malta Rugby Football Union has been a member of the International Rugby Board since 2000 and Malta's national team compete in Division 2A of the European Nations Cup. Every May, Malta hosts an International Rugby Festival with 3 tournaments (Clubs, Vets and Sevens). An annual Ladies' Sevens competition also takes place in February. Malta's mild climate makes it an excellent choice for any training camp or rugby tour. 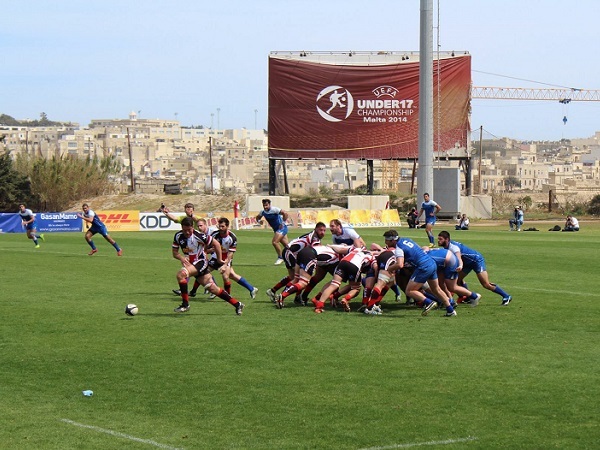 Hosting an increasing number of touring teams, Malta is a popular choice for rugby clubs around Europe. Malta Rugby boasts 7 clubs. These include 5 mens and 3 ladies teams, several junior teams and the "Malta Marauders" Veterans. The Marsa Sports ground includes 2 full-size rugby pitches and a 50m x 50m practice area. The clubhouse offers excellent changing and shower facilities and a bar. The next Malta Vets Rugby Tournament will take place in May 2019. In the past, teams have travelled from the UK, Ireland, France, Italy, Netherlands, Israel, Sweden and Dubai for this prestigious event. The Malta Marauders RFC also compete annually in the Dubai Rugby Sevens Vets Tournament and recently reached the semi finals of the Smallest Rugby Club World Cup in England.